It’s 1819 and in my newest Regency, The Bricklayer’s Helper, Sarah must give up her masquerade as a man after thirteen years. Which leaves her in the unenviable position of trying to become a lady. What would she wear? How would she adapt to her role as a woman facing the cream of nineteenth century society? It wouldn’t be easy, that’s for sure. When you’re writing a historical novel, the question of clothing is a complex one. You want to be as accurate as possible, and yet not confuse readers. Heck, I’ve been confused, myself, at terms like “girdle” which didn’t always mean that tight, elastic thing you wear under your dresses to try to look a little thinner. It used to be an article of clothing worn around the waist, over your dress. Sort of like a belt. And pockets were little bags of fabric hanging from a ribbon you tied around your waist, under your dress. There were slits in the skirts that allowed ladies to slip their hands through so they could extract something from their pocket or put something inside. Some pockets were elaborately embroidered and quite lovely. And linens weren’t sheets, they were those items of clothing like a man’s shirt that were made out of linen. So it can be quite confusing when using words that over time have changed meaning. Most authors, however, resolve this simply by describing the item of clothing as a character puts it on. So what would my heroine, Sarah, wear? First, she'd probably browse through an issue of La Belle Assemblée which was the Vogue of the day. Round dress of fine cambric, with six flounces of India muslin: spencer of cherry-coloured or Tyrian purple velvet; with bonnet to correspond; the spencer elegantly finished on the bust with rich silk Brandenburgs; the bonnet lined with white, and surmounted by a plume of white ostrich feathers. Black satin slippers, and Florence gloves. A frock of scarlet gauze, brocaded with white silken flowers, worn over a white satin slip; the dress richly ornamented with fine lace. The head-dress consisting of either a beautiful tiara of pearls, or a fancy ornament of downy plumage, or of frosted Italian frivolité; this ornament is, however, almost concealed by a bonnet de Ture, composed entirely of white ostrich feathers, playing in different directions. The stamina of the Turk’s cap, with the pistil, are represented by a small plume of short white heron’s feathers. And since Sarah might wish for additional guidance, she might also take heed of the magazine's advice listed below, to ensure she truly has the latest and most fashionable clothing. 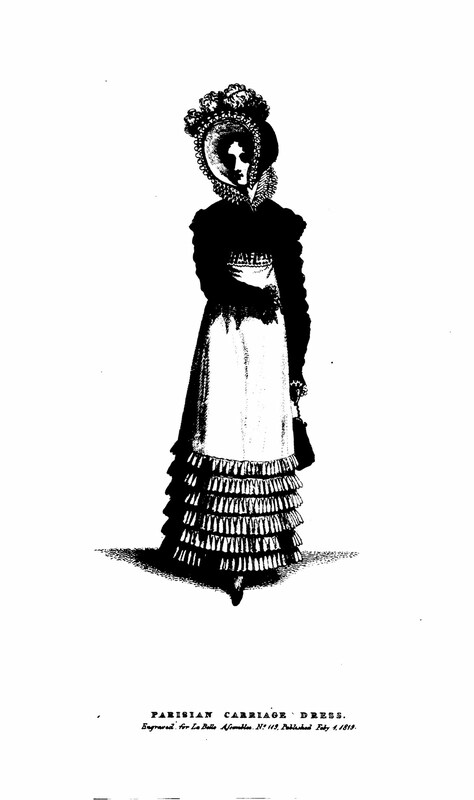 The crowds of beauty, rank, and fashion which daily resort to the elegant repository of taste and fancy under the guidance of Mrs. Bell in St. James’ street, prove sufficiently her indubitable superiority in the fabrication of the different articles belonging to the modish toilet, and the versatility of her taste in the classical arrangement of every different part of a lady’s costume. As a writer, I’m always fascinated to find how little we have really changed over the last few hundred years. We are still fascinated by fashion and follow our favorite designers. 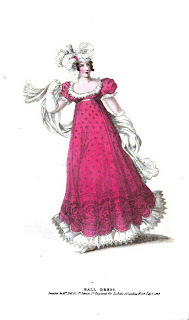 Fashion magazines are best sellers, and like La Belle Assemblée they contain illustrations of the latest fashion, gossip, poetry, and fiction. There are even ads...just as you would find in an issue of Vogue or Glamour, today. And many of those ads are for products to improve the condition of the skin and hair. And while many women, including Sarah, may deny any interest in the current styles, we can’t help but be seduced by the desire to appear beautiful. Sarah may be the first to deny any interest in what William thinks, but she prefers to be pretty while he's thinking...whatever it is. So what do you think? Do you follow fashion or are you a rebel who prefers to follow her own tastes, regardless of the current trends? After the HEA (Happily Ever After) is understood by romance readers to be a wedding, whether it is actually seen in the book or not. In the tradition of today, the bride wears white, or ivory, if she is a first timer. However, for those of us who write historical novels, a wedding dress might be any color or style of dress that the bride desired. A red dress might signify the bride's favorite color, or her best ball gown, without any commentary on her virtue. This, of course, held true until 1838, when Queen Victoria married Prince Albert in, what else, a white dress. So, thereafter, every other correct British bride wore white, and whatever the Brits deemed correct traveled across the Atlantic and became the thing to do in America. What intrigued me was why? Victoria wore white. I always thought it was because she was very young, and like all proper young women of the upper classes, she wore white dresses. Of course, most of us think that the white symbolizes virginity. In actual fact, Victoria chose a white dress to match some white lace that she wanted to use on her wedding day. Other British wedding tradition that made their way to America are the reading of the Banns in church on three Sundays before the wedding day. This was intended to give anyone who objected to the marriage to state their reasons in public. In some churches the intended bride and groom were not allowed to be present when the Banns were read. If the Banns were read 3 times without objection, then the bridr and groom could marry without a license in any county where one of them had been a resident for 15 days. They did have to be registered in the church records for the marriage to be legal. British weddings even today cling to the tradition of a wedding at Noon followed by a seated meal called "The Wedding Breakfast", a sumptuous meal topped off with a tiered frosted fruitcake and a chocolate groom's cake. Why would a family choose to hold a wedding from their home, bearing the cost and fuss of a large meal and many guests? Why, status, of course. Even those of the merchant class or labor class would marry off their daughters in similar style, tailoring the event to their financial circumstances. For this reason as well, many weddings were held in the autumn when the crops were in, work had tapered off and the makings of a great feast were available. Just think of every Thomas Hardy book you've ever seen translated to the screen, or, my personal favorite, the wedding in Jane Austen's "Pride and Prejudice" as done on PBS. The wedding breakfast has been adapted to a huge, ultra expensive reception and meal, either sit-down or buffet, in today's America. The organizing and presenting of weddings had become a huge business as well. Perhaps that is why I hold fond thoughts for the relatively simpler way that British peoples of the previous centuries 'plighted their troth'. Next month I will continue the discussion of marriage and wedding ceremonies in Britian and the way these traditions affected American society. In the meantime, I will be working on an edit of "Hunter's Heart", the second book I have presented to my great editor, Eve Mallary, who has inspired me to destroy all adverbs! I just hope she will adopt this second child of mine with the same affection and care that she has shown with "Heart of Gold", my first book that should be out in early 2011. 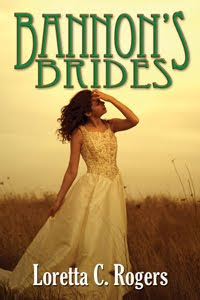 Maybe this will inspire you to add a wedding after your HEA, but I'll bet that your bride won't wear a dress anything like the one that Dee Connolly wears to marry Matt Sutherland in "Heart of Gold". I've been dabbling a bit in genealogy lately, trying to solve some of the puzzling stories about my family history, and instead I've come up with even more puzzles. Along the way, I re-connected with my cousin Della, and then discovered another more distant cousin Della. So now the three of us dream of meeting in Southern Mississippi-Alabama to research together, with me introducing us: "Hi, I'm Delle, and this is my cousin Della and this is my other cousin Della." But that's just an aside. I really want to tell you about our mutual puzzling ancestor, Benjamin Braxton Years ago I overheard a relative tell my mom and grandmom a story about an ancestor who had been a Confederate Army officer with a wife and child, who had disappeared in the war and was presumed dead. Years later his son had found his father living in Florida with a wife and several children, but when confronted, the man denied having any family in Alabama. After the "son" returned home, his mother said to just let it go because there were children involved. I remember the woman showing them pictures, but I was sort of on the sidelines and didn't get to see them. The two Dellas and I all confessed confusion over this man because we had so little information on him. 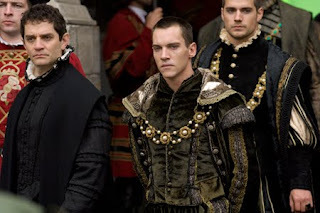 Was the story true, or a family myth? Did he have two wives or one? At the same time? Was there a divorce? 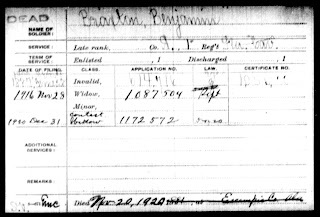 Was my great grandmother really his daughter, since she wasn't listed on any of the census records of his family? And was he Confederate or Union, because there were stories connecting to both. And most of all, if he was a bigamist, what was he thinking? 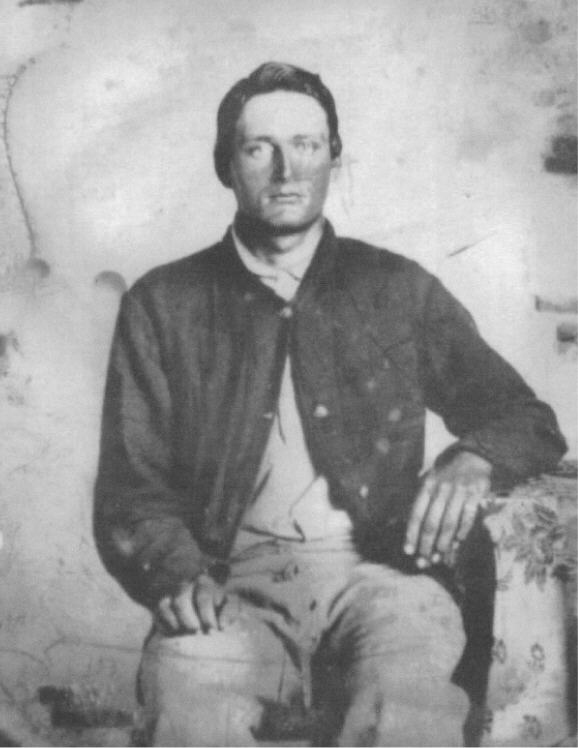 Della Y came up with some pictures and information that said he was a Confederate private, along with two of his brothers. And she had a photo of Benjamin in CSA uniform. Della N found our great-grandmother's death certificate that confirmed she had gone by the maiden name Braxton (that, too, had been in question). And then I read something about a Union fort in Pensacola. I hadn't realized that parts of Florida had remained strong in Union sympathies. So I checked Union Army records on the internet. Also looked up Fort Pensacola. There I found Benjamin and his two brothers, complete with a physical description. But they had all joined the 1st Cavalry of Fort Barrancas near Pensacola on the same day, surprisingly late in the war, December 31, 1863. Benjamin Braxton, at 5'8", was the middle brother, and also in between in height. He was dark skinned, black hair and brown eyes, where the two brothers were fair skinned, one with dark hair and yes and one a blue-eyed blond. Their parents had lived in Alabama but moved to that very wild Florida Peninsula area in the 1850s. On the map, the distance is less than 50 miles, so some connection with people they had known would be within reason. On the Florida census rolls, Ben and his wife Martha Lambert Braxton didn't have children till 1867. 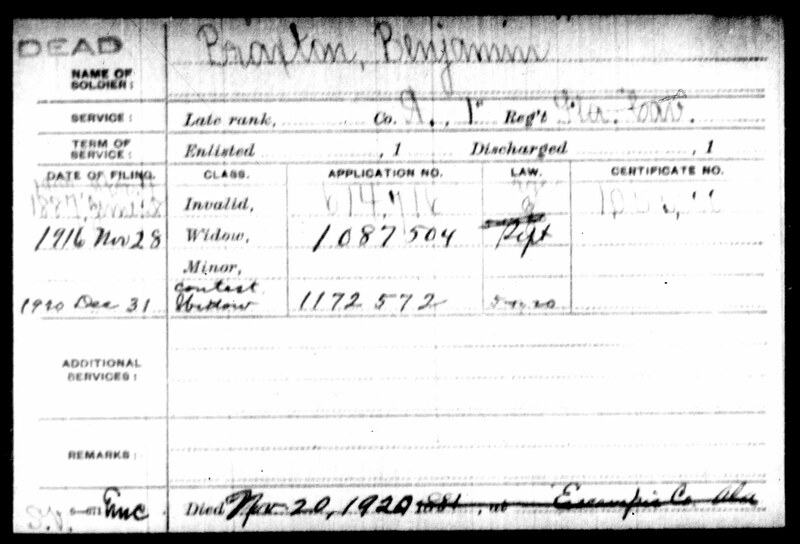 My great grandmother was born in 1866, and the son he denied had been born in 1852, when Ben was about 19. Suspicious, huh? Another question formed. 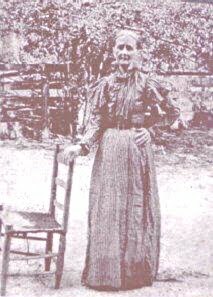 Was my g-grannie illegitimate, possibly raised by her maternal grandparents, the Lamberts, perhaps? She used that name too. We don't have all the answers yet, but we did find a piece of Florida history that is very eye-opening. It seems Ben and his brothers were Confederate deserters. But they weren't the only ones. A very well-respected researcher of Florida history during the Civil War says that Northern Florida had very strong Union sentiments. Settlement was pretty new there, and the people were quite independent, mostly subsistence farmers. In 1863 the Confederate general in charge of supply had over-reached his bounds in Florida and had stripped local farms bare, leaving families to starve. The soldiers from that area had mostly been conscripted, including Ben and his brothers. With the Union Fort Pensacola being so close, a system developed to guide deserting Southern soldiers through the swamps to the fort. Ben and his brothers are known to have escaped, supposedly one captured, but he must have got away again because all three signed on to the fort's rosters together. The Union didn't know quite what to do with all these men, but ended up with the brand new 1st Cavalry of Fort Barrancas, which was officially formed of about 120 soldiers on the last day of 1863. 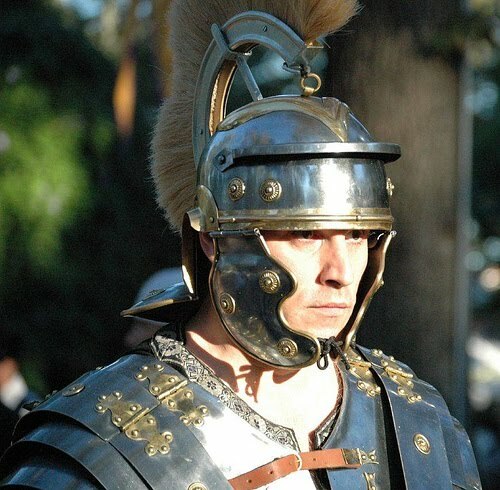 So Ben really was in two opposing armies. But his reason for deserting now appears much stronger. He didn't have children then, and hadn't married his official wife yet, but he had strong relationships with his family of origin. And he seemed to be in the same situation as a lot of others who lived in his area. Ben's Pension - which wife got it? But had he been married to an Alabama woman in the late 1850s and produced a child? We don't know. Perhaps that child was really illegitimate. He isn't on any census records with the supposed first wife, Mary, and child, John William Braxton. We can't find any marriage records. And the woman claimed eventually to be widowed and then divorced. 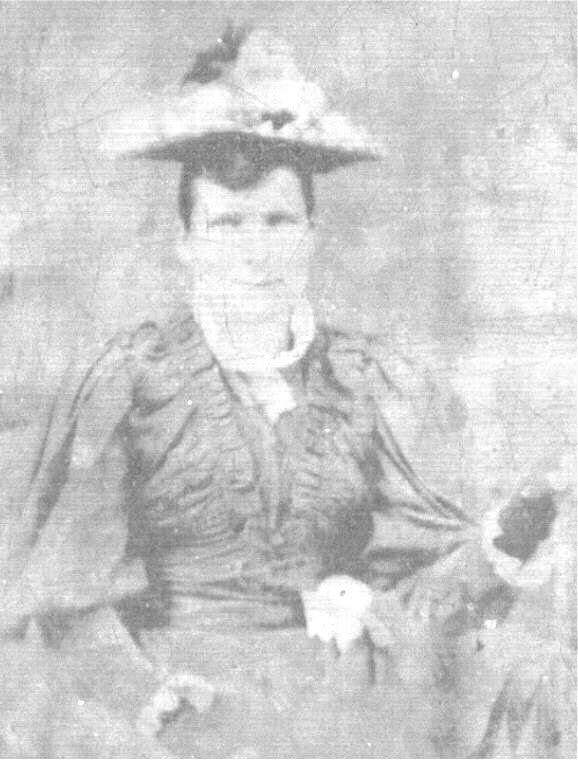 Further, after Ben died, she tried to claim his Union Army pension. We don't think she succeeded, but can't find that either. But the big question still looms: What was he thinking? If you've got any ideas, we'd sure like to know. Marrying Mattie...the bridegroom's a virgin and the bride isn't! I'm thrilled to announce my latest release and second in the Paradise Brides series, Marrying Mattie! I thank my terrific editor Helen Andrew for making this book happen, for guiding me every step of the way. You can meet hero Call Hackett in the first book, Marrying Minda, when he finds himself falling for another man's wife. Fortunately the husband wins out, at which time I realized Call deserved a love story all his own. Linking these two books is my short story, His Christmas Angel, a free download at The Wild Rose Press that will put you in the holiday spirit even though it's August. Caldwell Hackett knows everything about horseflesh and nothing about women, yet he's managed to snare beautiful Mattie Carter's heart. With their wedding coming up, he's nervous about his inexperience in the bridal bed, but his lovely fiancée manages to ease his worries in just the right way. Mattie Carter is hopelessly in love with the handsome horse doctor and knows this marriage will be wonderful, unlike her first that was fraught with her wealthy husband's infidelity. Eager to begin her new life with Call, Mattie is heartbroken when her former husband halts their vows, claiming to the whole church she's still his wife. Can Mattie regain Call's trust? Can Call, whose livelihood is threatened when an epidemic hits the horses in Paradise, figure out the truth with Mattie's help? Or will these star-crossed lovers be destined to live apart? “Of course he’s known about the marriage. He and my sisters have mutual friends. If there was a problem, which I doubt, Libby and Debbie certainly would have told me. ” Shaking her head, Mattie moved to collapse in the front pew, face in her hands. A friend gave me a non-fiction book about women of the west. The book was filled with journal entries of what women endured while crossing the Oregon Trail in wagon trains. 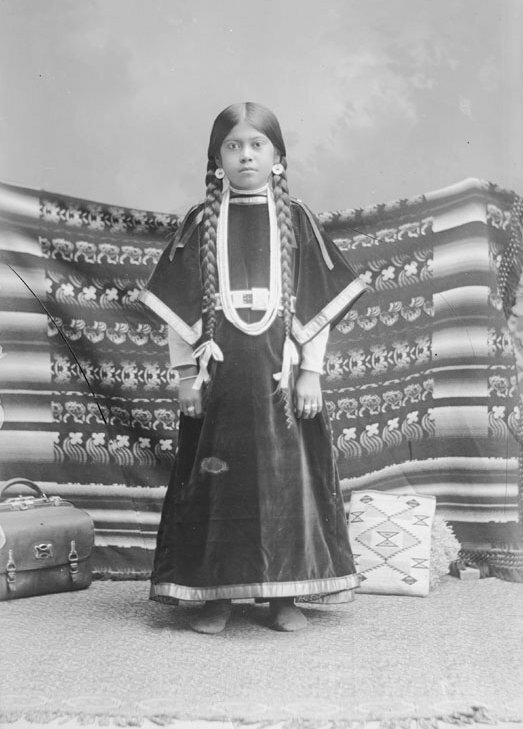 I learned that more people died from rattlesnake bites and lightning strikes than from Indian attacks. Thus was borne the idea of BANNON'S BRIDES an American Historical novel about a group of mail order brides who endure the rigors of the frontier to meet their future husbands. Jail or prostitution? Fiona Quinn chooses neither. Instead, she signs a mail-order bride contract and leaves Philadelphia on a wagon train bound for Oregon. Braving rattlesnakes and hostile Indians, when she is kidnapped by two depraved buffalo hunters, she fears she may never reach Oregon alive. Cordell Bannon has sworn to safely deliver thirty mail-order brides to their prospective husbands. He struggles with a clause in his contract that binds him to an oath of celibacy. Yet between him and Fiona flares a passion so intense that it rocks him to the core. Bannon’s still damp hair curled darkly, giving a boyish look to his haggard face, and his wet clothes clung to his body when he rode up beside Fiona’s wagon. 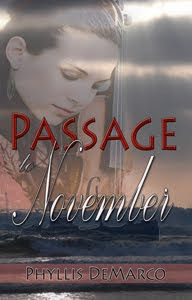 she sensed by the determined set of his eyes and firm mouth that tragedy had struck again. she steeled herself not wanting to hear the news. Fiona stepped down to the ground and braced herself against the wagon. her legs were shaky, and her arms ached as her muscles slowly unclenched. “Mr. Bannon said we’re to have another burying.” Fiona’s voice was low and filled with emotion. I've always had an interest in the Nez Perce band that lived in Wallowa County where I grew up. 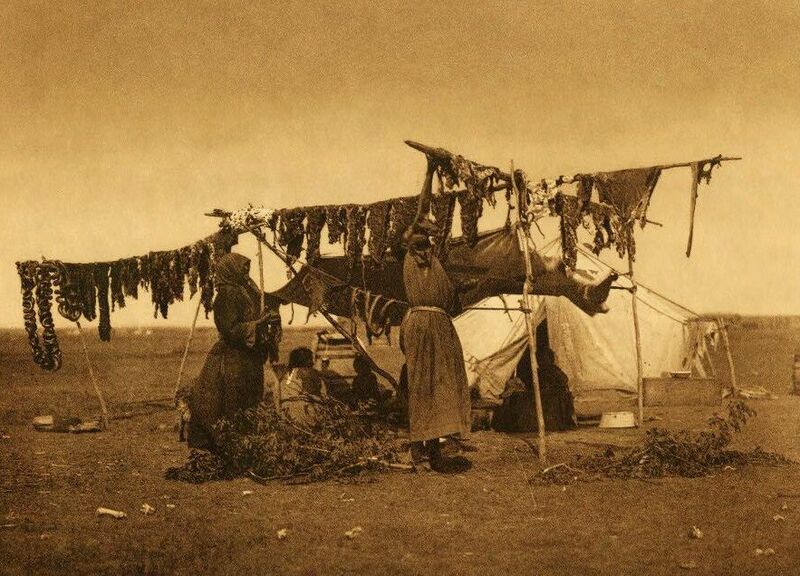 When I heard editors were looking for historical paranormal I knew what I had to write about- the Nez Perce or Nimiipuu as they call themselves and I added my imagination of spirits. 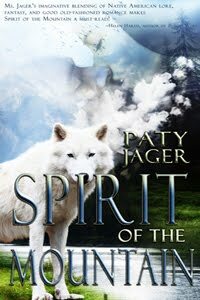 Spirit of the Mountain is my August release from Wild Rose Press. I spent hours reading books about and by Nimiipuu people. I even joined a yahoo group for Nimiipuu and those that are interested in them. There I found two people willing to help me make my book accurate about the day to day living of the Nimiipuu in the time before the White man's arrival to their valley. Then using the knowledge I'd gleaned about the Nimiipuu, I manufactured spirits to work into some of their beliefs and concocted some powers and policies for the spirits to adhere to under the Creator. When I read the books written or told by the Nimiipuu I paid attention to the cadence of the wording. I listened to stories on Youtube by Nimiipuu. Then I tried to copy that cadence in my writing. Not usually being a paranormal reader, I didn't go out and purchase books and try to copy anything that was popular. I made my spirits by reading Nimiipuu myths and legends and information about their religions, ceremonies, and beliefs. Then I tried to keep the spirits structured to helping the Nimiipuu and all of earth by nudges and slight-of-hand, not all out intervention. Through all the writing on this first book, and the second, I've used my contacts and tried to stay as true to the Nimiipuu life and beliefs as I could. I'll leave you with the blurb and excerpt. You can purchase this now in print at The Wild Rose Press or in e-book and print on August 13th. My husband and I toured the Dana-Thomas Home in Springfield, Mo, while on our Route 66 tour this summer. Ever since my college days in the 1960s where home design was part of my studies, I’ve been a fan of Frank Lloyd Wright’s architecture. While working on my masters in the 1980s I was fortunate enough to tour one of his tract homes on display at the Dallas Museum of Art. If you’re familiar with Mr. Wright’s style, you know that his belief is everything in a home should be functional and the outdoors becomes part of the living space. He also designed every home to accommodate a baby grand piano. His tract homes aren’t that large, but indeed, there sat the piano. The furniture inside his homes is stationary, closets are wall cabinets, and hallways are lined with windows with either book shelves or storage below and on the opposing wall. I loved seeing this model home, but to me, none of the furniture appeared that comfortable. I didn’t see a stuffed sofa or recliner one. Susan Lawrence Dana grew up with elite society in Springfield, IL, near the state capital. Her life revolved around social activities such as parties, club activities, and charity fund-raisers. She married Edwin Dana in 1883. The couple’s marriage, though happy, was touched with sadness. Susan bore two children who died in infancy. In 1900, Edwin died in a mining accident. A year later her father died leaving her as executor of his estate. Susan lived with her mother in the family Italianate style Victorian home at Fourth St. and Lawrence Av. Her mother agreed to have the family home remodeled. Susan approached Frank Lloyd Wright to undertake the project. It was completed in 1904. Susan’s mother died in 1905 and in 1913 she remarried—a young Danish baritone concert artist who died unexpectedly a year later. A third marriage ended in divorce. The Dana house is one of the largest and most elaborate of Wright’s “Prairie” designs. Today it is open for public tours. The home design depicts low, horizontal roofs, wide overhanging eaves, ribbon art glass windows, 250 art glass doors, windows and light panels, and original sculpture designed by Mr. Wright. On the four dining room walls are the only surviving George Niedecken murals. To the right is one of the sumac windows and a lamp typical of all of the lamps in the home. Wright designed all of the furniture in the home, also the sculptures, and the art class in the windows and doors. He controlled every detail. Both Mrs. Dana and Mr. Wright loved Japanese art. This influence is evident both inside and outside the home. The majority of the furniture didn’t appear comfortable to me and the rooms were dark. I can’t imagine having to navigate the many levels at night with only gas lights or the small electric bulbs of the day. Interestingly, there is no covered area for guests to arrive and be protected from the elements. For functions, a designer awning that reached from the arched entryway to the street was erected. The foyer is small which led to Wright’s “expandable spaces,” a concept used throughout the home and his other designs. Guests were greeted and directed either up or down a floor. The master bedroom has built-in twin beds with privacy curtains and a sitting area with a lot of light, one of the brighter areas in the home. Though I love the “Prairie” style home, the Dana-Thomas house is, in my mind a contradiction to what a socialite in 1904 would build. When I think about life of the elite in the 1900s, my mind conjures up images of Victorian homes, Edwardian designs, or Romanesque villas—elaborate designs with broad sweeping porches and covered drives for guests like the ones to the right. Not the “Prairie” home Frank Lloyd Wright made popular and became famous for. However, those designs were not the current fashion and Mrs. Dana was a modern, free-thinking woman, one to set her own style. It reflected her flamboyant personality. Social activities in the Dana home revolved around benefit concerts for charitable causes, gatherings for governors, state politicians, members of local society and guest from all over the world. In the 1920s and 30s, she formed the Lawrence Center for Constructive Thought and held meetings with metaphysical and mystical religious groups. The costume to the left is something like what women of the day would have worn. Their hats were large and elaborate. When the cousins who’d lived with Susan for years died in 1928, she moved to more modest quarters. She became a recluse. In 1942 she was declared incompetent by the courts and admitted to a local hospital. Her significant fortune gone, her home and effects were auctioned in 1943 and her home sold in 1944. Charles C. Thomas, a medical publisher, purchased the house and owned it from 1944-1981. They maintained the homes original furnishings and design. In 1981 it sold for one million dollars and became a historic site under the Illinois Historic Preservation Agency. 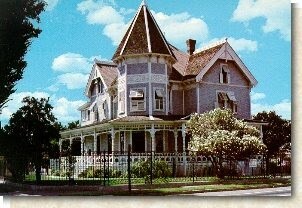 I love the "Prairie" style of the Dana-Thomas House. It would be a wonderful place to visit and stay a week, possibly even a month, but I don't think I would want to live there. The craftsman style similar to the "Prairie" home would be a better fit for me. Or, one of Mr. Wright's tract homes. Regardless, the Dana-Thomas Home is a tribute to both the architect and the woman with the insight to build something different. If you're ever in Springfield, don't miss taking a tour. With my new novel “Passage to November” finally coming into the final phase of editing and with no new projects really “speaking” to me, you could say I’m between projects right now. In some ways, it’s a little like being between boyfriends. You sit around with no one to talk to but the cat and nothing to do but think about going back to some guy—I mean some story—that you dropped like a bad habit years ago. You know it’s no good, you know the plot reeked and the characters had all the personality of wet rags, but there were a couple of nights here and there when it seemed so… right. And, quite frankly, it’s all you’ve got. That’s not to say you’re not busy. No, you’ve got this thing called Real Life that keeps you on your toes and hopefully pays the bills. But Real Life isn’t much fun without a little love, so like any good romance writer on the rebound, you play the field here and there. You check out other eras, flirt a little with Regency, maybe make googly eyes with the First World War— if you’re really daring, you might even spend a wild night or two with the Roman Empire. But it’s not the same. No, you miss the rush of being with the story that was your constant companion for months, even years. You miss the warm familiarity of characters who have become your friends, of places that have become like a second home to you. Mostly you miss the feeling of the greatest love story of all, the kind of love that leaves lesser mortals shattered and quaking in its wake. You know, the kind of love story you just finished writing. It was lightning in a bottle. The gold in the bubble. That fabled brass ring. And you caught it. Not only did you catch it, but you nurtured it, built it into something wonderful, something that would make even your closest friends green with envy. And now, like even some of the best relationships, it’s over. You’ve packed it up and sent it on its way, and you hope and pray that others will love it as much as you did—if not more. But now you must also hope and pray your next great love will somehow surpass the last. It seems impossible. So many thoughts, so many ideas, so little time to clear your head of the business of the day and settle down to what is really important. A writer could end up in therapy— or AA— for years just waiting for lightning to strike twice. When I started to write Regencies, I looked at maps to familiarize myself with the places where my characters lived. Even a cursory examination revealed that many English place names were duplicated in the United States, especially in the areas the English settled. The English were the first Europeans to arrive in the northeastern United States, where I live, and they named the area New England after the home country. As they built cities and towns, they named them after the places they had left behind. Examples abound. After New England, the most familiar names are New York, New Hampshire, and New Jersey, named for the British counties of York, Hampshire and Jersey. Manchester and Peterb orough are in New Hampshire, and Warwick is in Rhode Island. Massachusetts has Suffolk, Norfolk and Essex counties. Some names were so popular the settlers reused them. Both Connecticut and Massachusetts have Middlesex counties. The city of Portsmouth, New Hampshire, lies in northern New England, and Portsmouth, Rhode Island, in the south. Connecticut contains the city of Bristol, and Bristol County is part of Massachusetts. The city of Worcester, Massachusetts, lies in Worcester County. There are two Oxfords in Massachusetts, one in Bristol County and one in Worcester County. Boston, Lincolnshire, lent its name to Boston, Massachusetts. The Charles River, named for King Charles I, separates Boston from Cambridge. About fifteen miles west of Boston is the Town of Lincoln. Travel another fifteen miles west to reach the City of Marlborough. Alas, Marlborough, Massachusetts, has no Duke. Other English place names in Massachusetts include (in no particular order): Waltham, Sudbury, Bedford, Dover, Shrewsbury, Truro, Gloucester, Chelmsford, Tewksbury (not quite a match, the English town is spelled Tewkesbury), Falmouth, Taunton, Bridgewater and Chelsea. As far as place names go, I've only scratched the surface. When I look at the maps again, I know I'll find even more.